Many of your car’s functions wouldn’t work properly, or at all, without electricity. Everything from power windows to turn signals would fail if circuits were disconnected or weren’t working. These aspects of your car might seem like simple conveniences; however, when you’re stuck in a rainstorm without wiper blades, you will be thinking differently. At Clarke’s Discount auto repair shop, we specialize in electrical services for Asian and Domestic makes and models. We offer a free diagnosis before all jobs to make sure everyone is on the same page about the best method of care before starting work. We want everyone to feel 100 perfect safe and comfortable in their vehicle, so visit a reliable and trustworthy mechanic when you’re in need of a service. 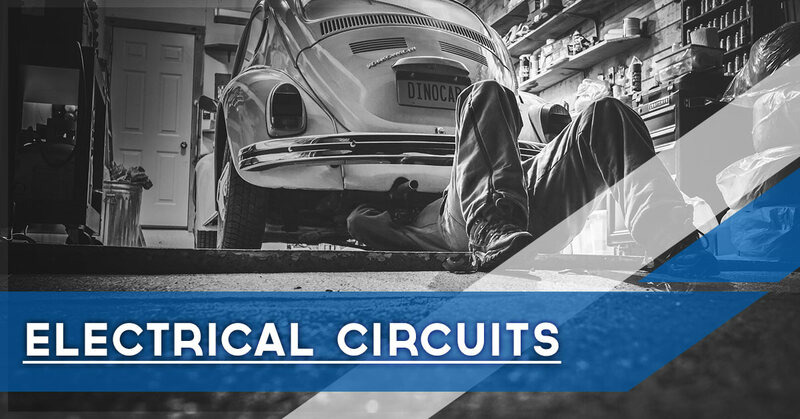 Computer Controlled Circuit Repairs: This is the overall system that controls the electronics within your car. Inside your car are computers called electronic control units. These units control the car’s transmission, your power windows, unlocking the doors, as well as sensors and switches that are wired in to detect temperature, pressure, voltage, braking, steering, and more. Power Windows, Power Doors, Power Seats and Power Antennas: When you begin to notice that these functions are slowing down, stop and start when making adjustments, or aren’t as powerful as before, there could be a problem with the car’s circuits that control these functions. Cruise Controls: What allows you a slight amount of relaxation in your car, the cruise controls enable you to set a certain speed for the vehicle. Malfunctions could include the vehicle not maintaining the correct speed or the cruise control does not activate at all. Electrical Shorts: When an electrical path isn’t completed, or is completed in the wrong way, this could result in a short, or a blown fuse. If there is a burnt smell in your car, visit an auto repair shop right away. Dash Gauges and Related Switch Service: Have you noticed the speedometer, gas, temperature, or RPM gauge aren’t functioning properly? If so, it could be an electrical problem. Not functioning properly could mean intermittently working, fluttering, or not working at all. Turn Signals, Flasher, and Headlight Circuits: Every four weeks or so, check each turn signal to make sure they are working. When driving at night, if you notice your headlights aren’t as bright as they once were, or have been fluttering, schedule an appointment with a mechanic. Window Wipers and Washers: If your car’s wipers are having a hard time moving or have stopped altogether, there is probably something wrong with the electrical components. Don’t get stuck in the rain without reliable wipers. The electrical system in your car is essential in keeping you and your passengers safe. You could get by without power windows for a time, but if you experience anything with the dashboard gauges, notice a burning smell, or your headlights are beginning to fade, schedule an appointment with Clarke’s Discount auto repair shop. With trusted and experienced mechanics always on duty, you can be 100 percent confident driving in your vehicle. For a go-to mechanic whenever you are in need, take a look at our services.